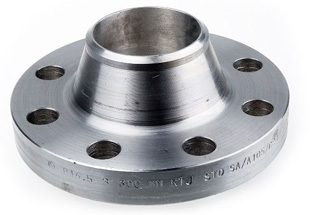 We are Manufacturer & Exporter of Alloy Steel Pipe Flanges, Alloy ASTM A182 Slip on Flanges, Alloy Lap Joint Flanges, Alloy Steel Blind Flanges, Alloy A182 Forged Flanges Supplier in India. Meanwhile, our proficiency lies in proving these products through authentic test certificates that include Laboratory Test Certificate from Government Approved Lab, Under Third Party Inspection. We are also deliver the above mentioned products as per the drawing given by clients. 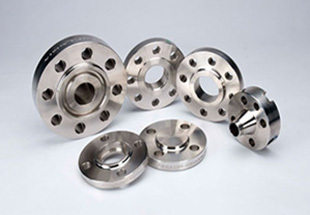 We offer one of the widest ranges of customized and standard flanges to meet up the different requirements of customers. Grade F1 / F5 / F9 / F11 / F22 / F91 etc. Chine, Russia, Venezuela, Indonesia, Bahrain, Saudi Arabia, Ghana, Democratic Republic of the Congo, Egypt, United States, Israel, Brazil, Jordan, Algeria, Peru, Kazakhstan, Morocco, Turkey, Italy, South Africa, UAE, Houston, Azerbaijan, New Zealand, Vietnam, Angola, Sri Lanka, Nigeria, Germany, Canada, Dubai, Cameroon, Tunisia, Mexico, Australia, Iraq, Mozambique, Argentina, London, Iran, Sudan, Ethiopa, Uganda, Kuwait, Africa, UK, Colombia, Thailand (Bangkok), Malaysia, Trinidad and Tobago. Johannesburg, Khartoum, Subra al-Haymah, Kolwezi, Maiduguri, Pretoria, Riyadh, Giza, Brazzaville, Tehran, Durban, Port Harcourt, Alexandria, Mogadishu, Lusaka, Rabat, Beirut, Port Elizabeth, Conakry, Dar es Salaam, Cairo, Antananarivo, Fez, Amman, Maputo, Mecca, Aqaba, Sharm el-Sheikh, Byblos, Bamako, Jerusalem, New York, Singapore, Dakar, Mbuji-Mayi, Abu Dhabi, Abidjan, Addis Ababa, Douala, Kano, Casablanca, Bethlehem, Istanbul, Dammam, Ouagadougou, Accra, Jeddah, Kampala, Kinshasa, Soweto, Lagos, Freetown, Harare, Yaoundé, Tel Aviv, Ibadan, Kaduna, Lubumbashi, Tripoli, Doha, Omdurman, Zaria, Nairobi, Cairo, Luanda, Manama, Dubai, Muscat, Hong Kong, Algiers, Bulawayo, Data from the UN, Benin, Cape Town, Colombo.